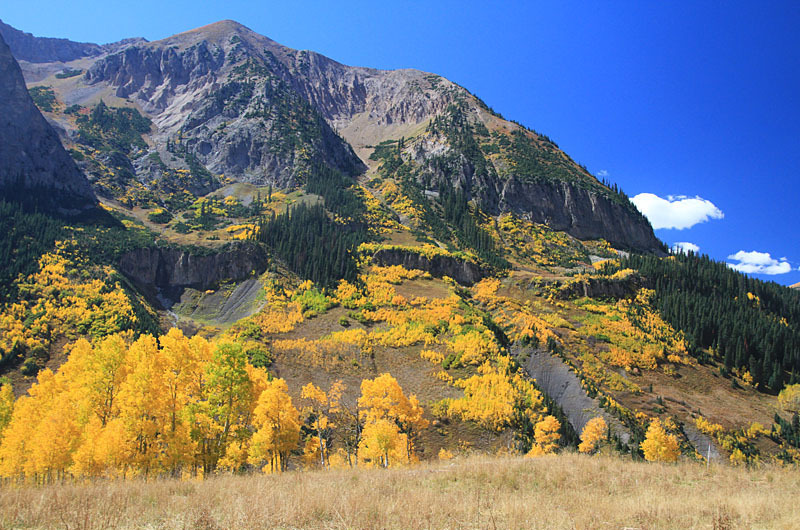 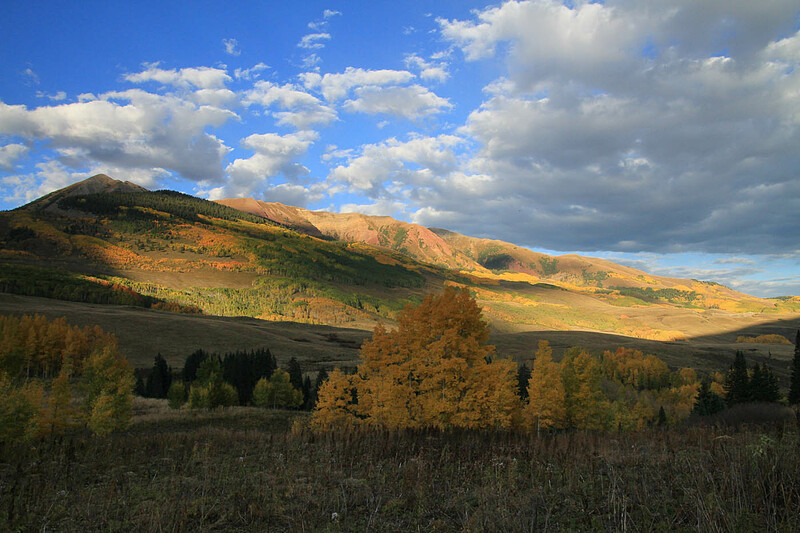 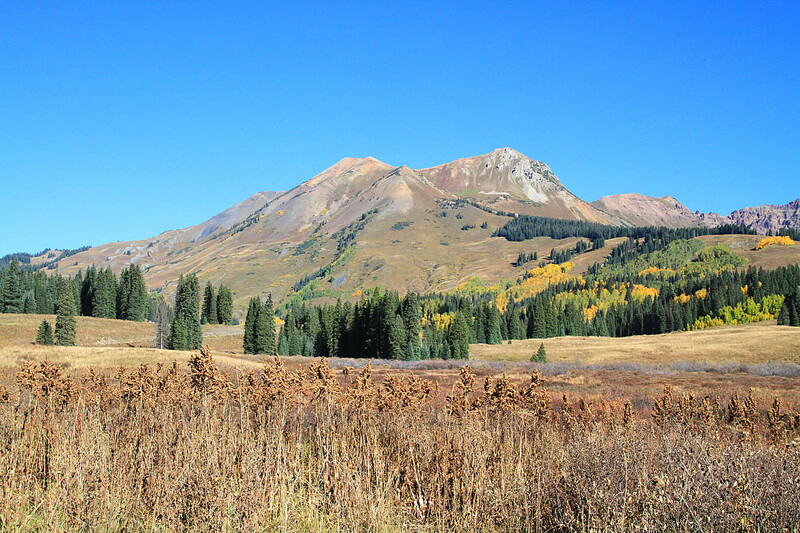 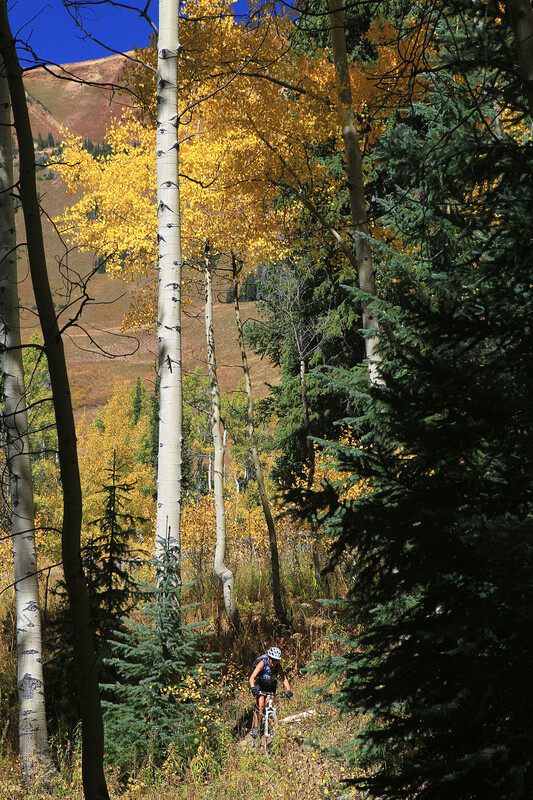 Crested Butte was part of my Fall 2015 tour of Colorado. 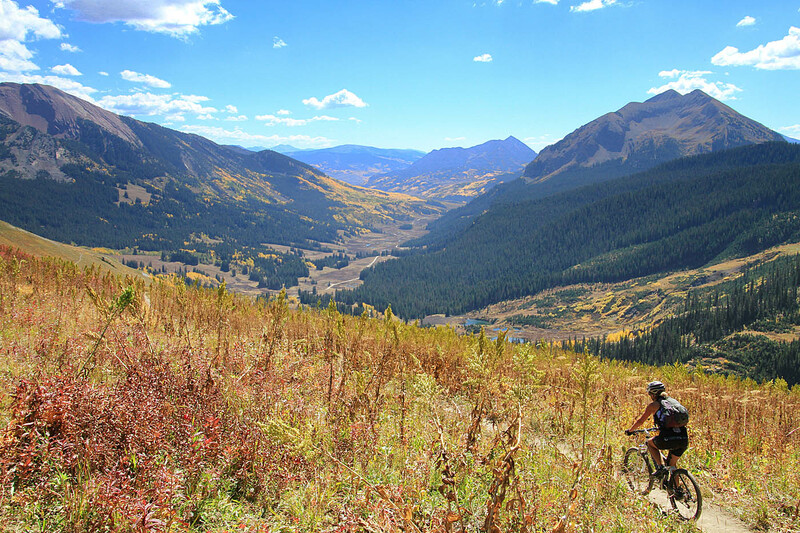 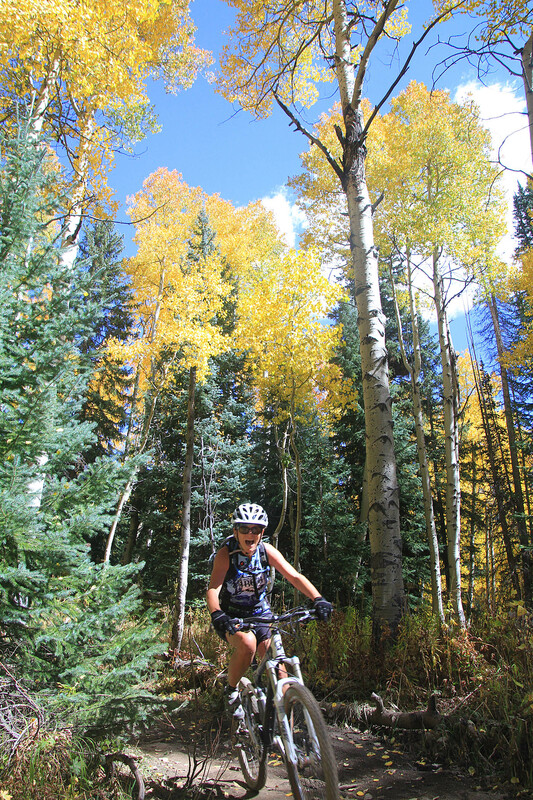 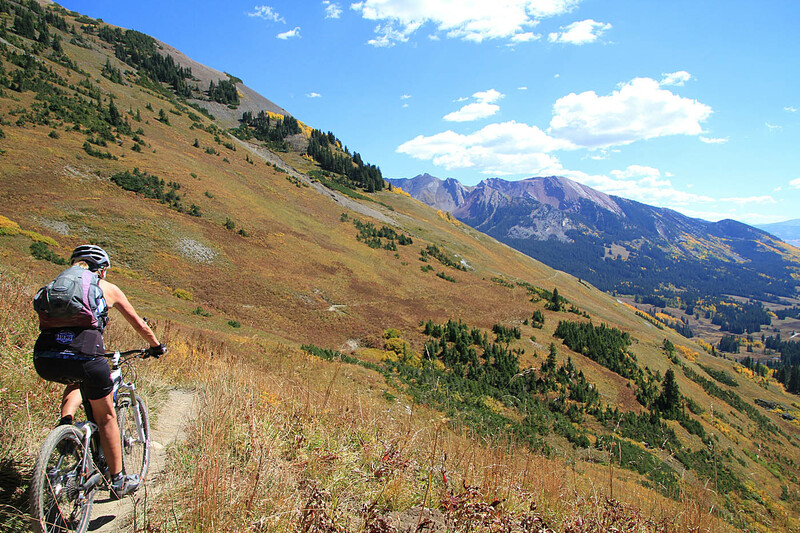 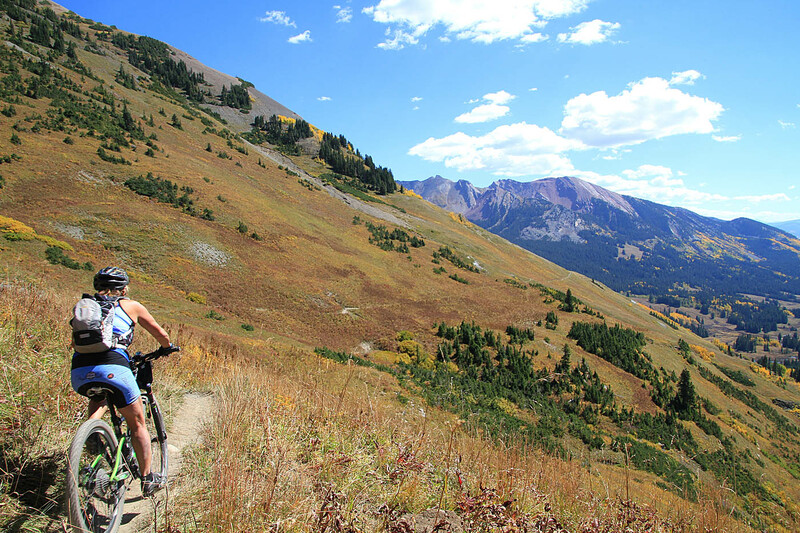 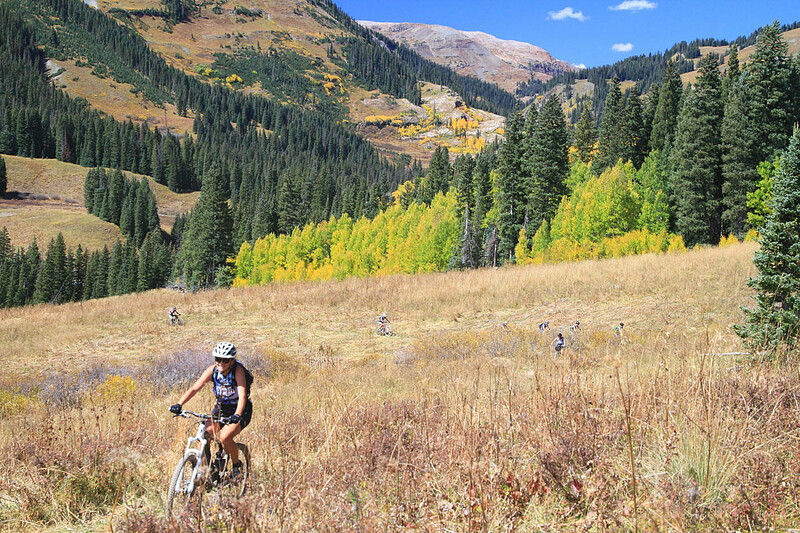 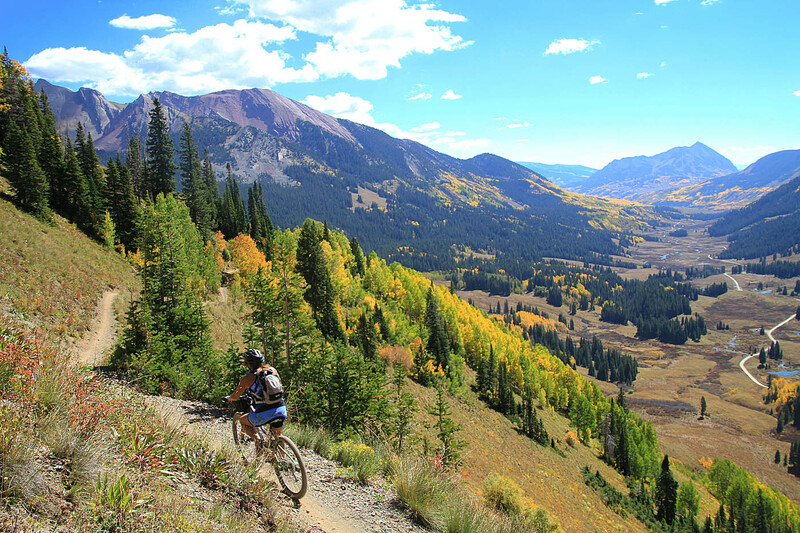 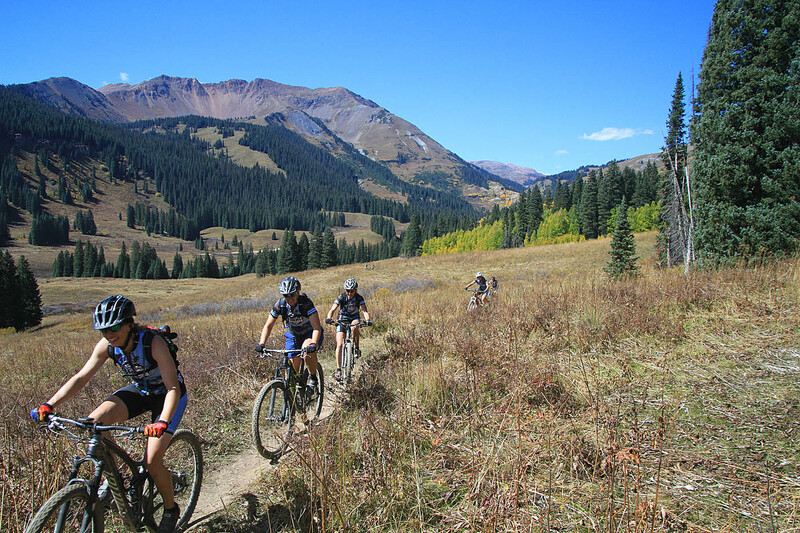 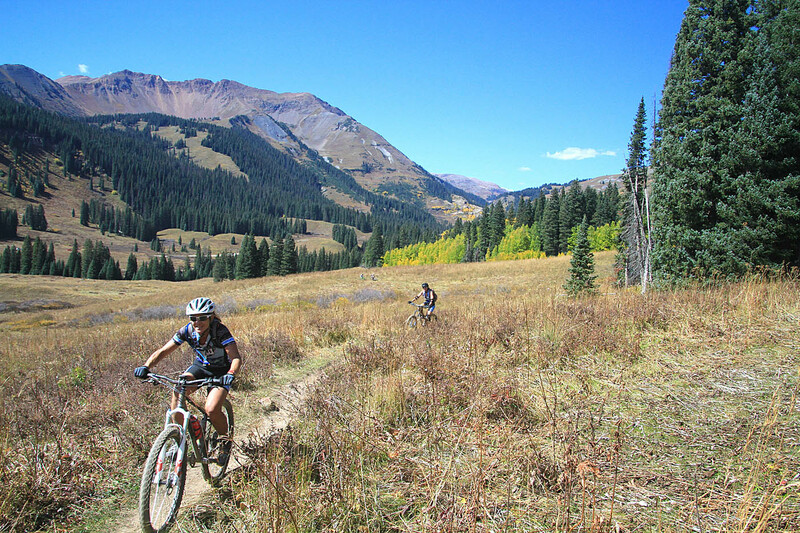 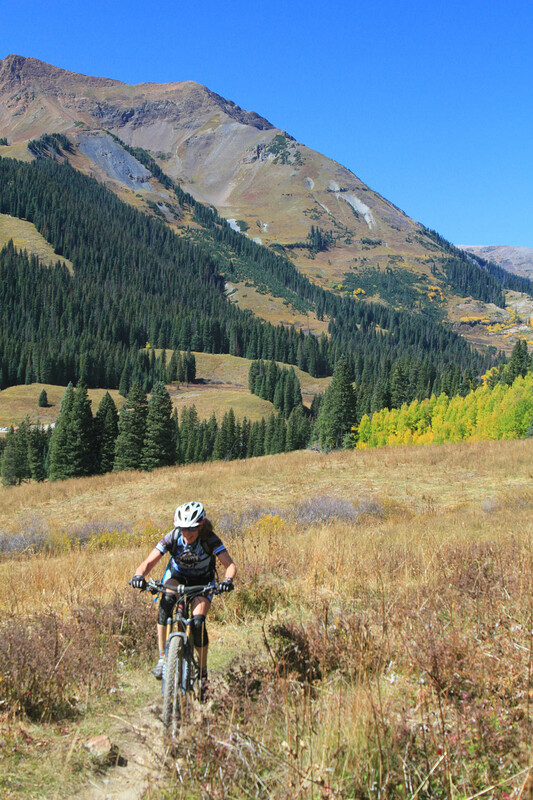 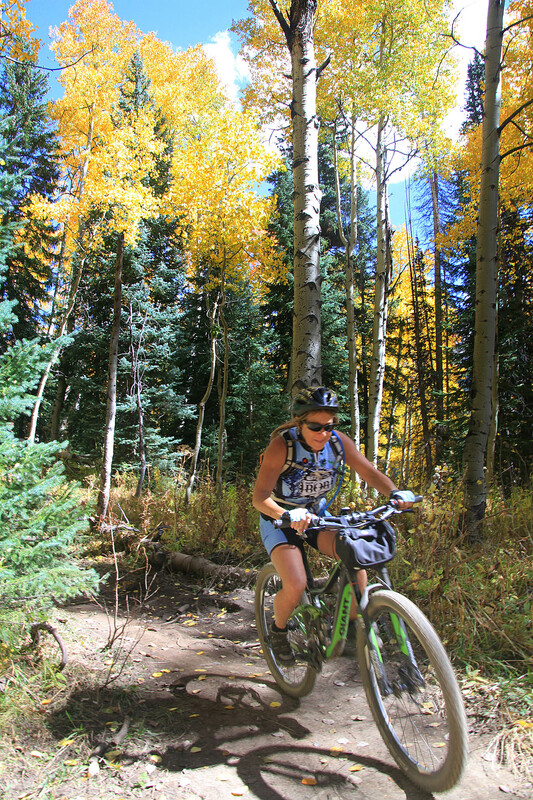 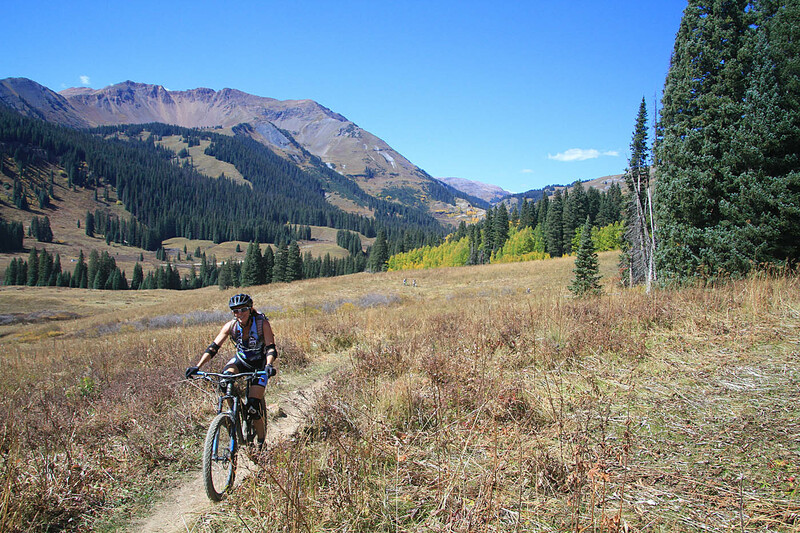 I had heard so many awesome things about the riding in Crested Butte. 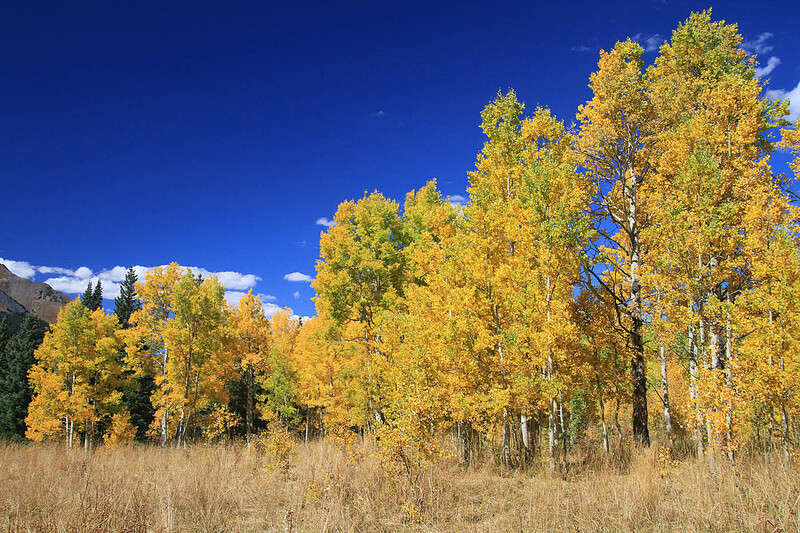 I am not even going to try to compete with all of the great information floating around the net on this place. 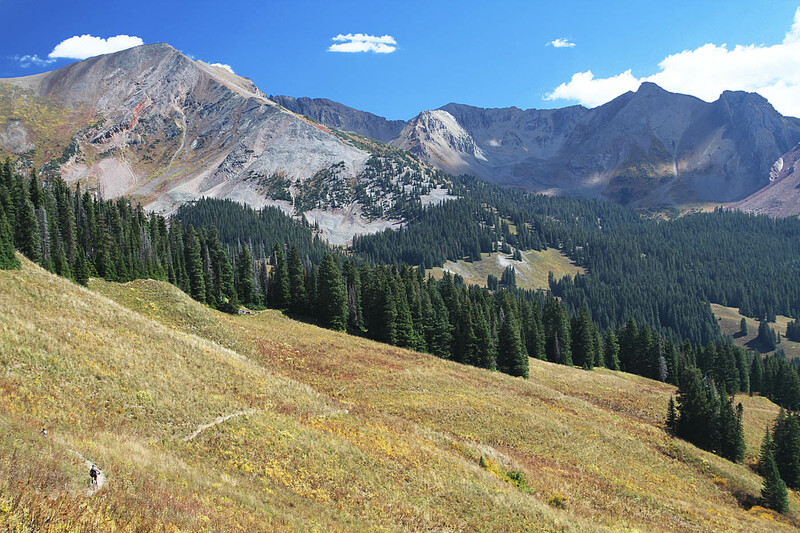 The only thing that I will add is that out of all the things I had read, there were no heinous emblishments about the either trail quality or the beauty of this place. 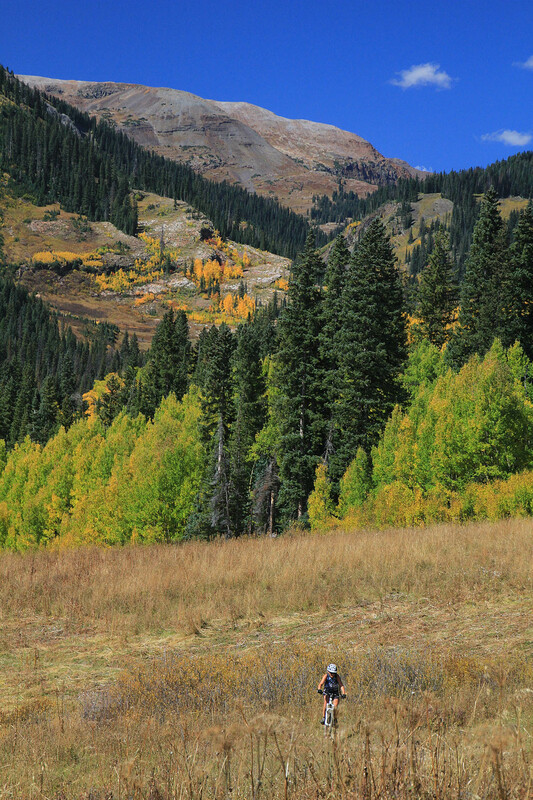 During my visit folks on multiple occasions commented on me gettting here at the perfect time for the turning of the aspens. 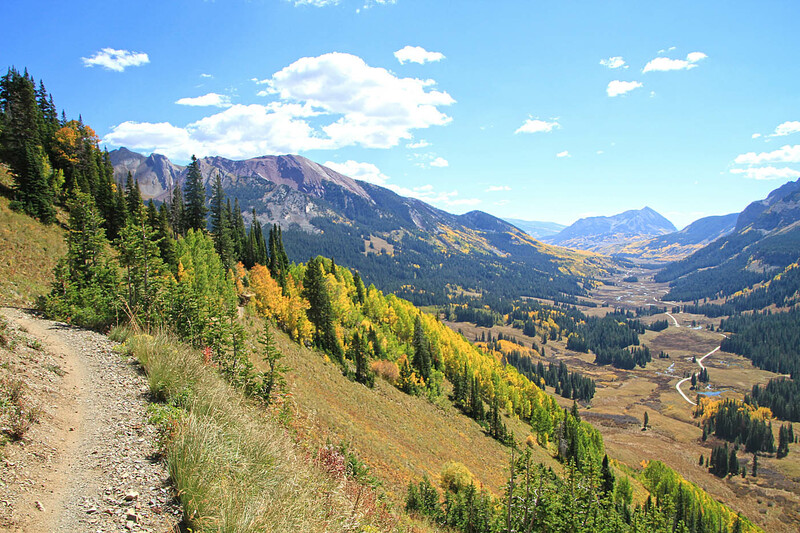 Pretty much the mandatory ride that must be done for first-timers to Crested Butte is the 401 trail. 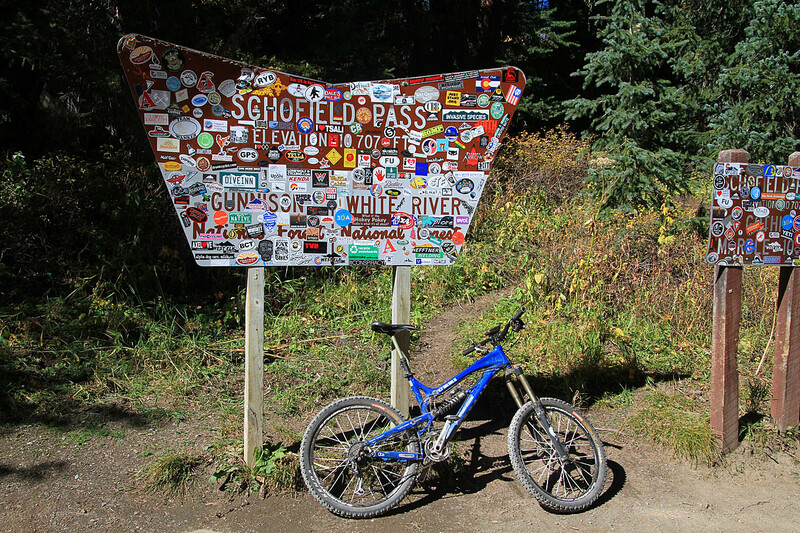 While the offical name of the trail is called the Trailriders Trail, it is almost exclusively referred to by it trail number, 401. 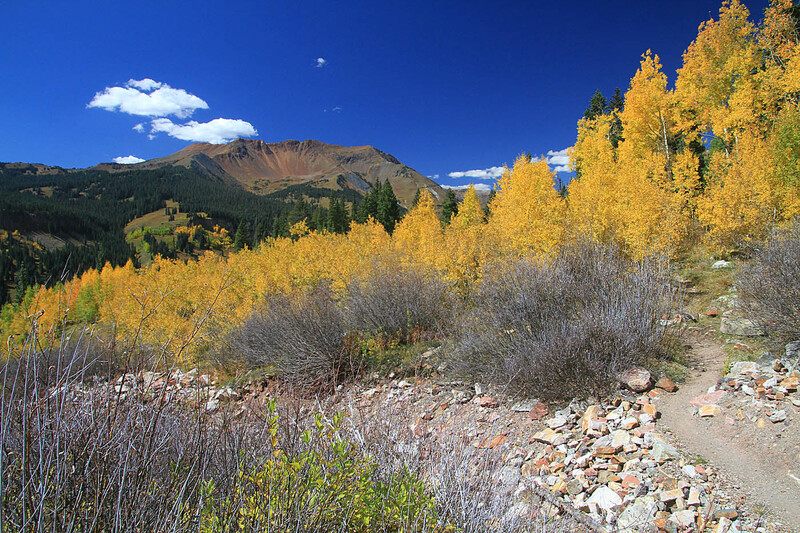 Directions: The lower trailhead is located 7.5 miles out of town on Gothic Road. 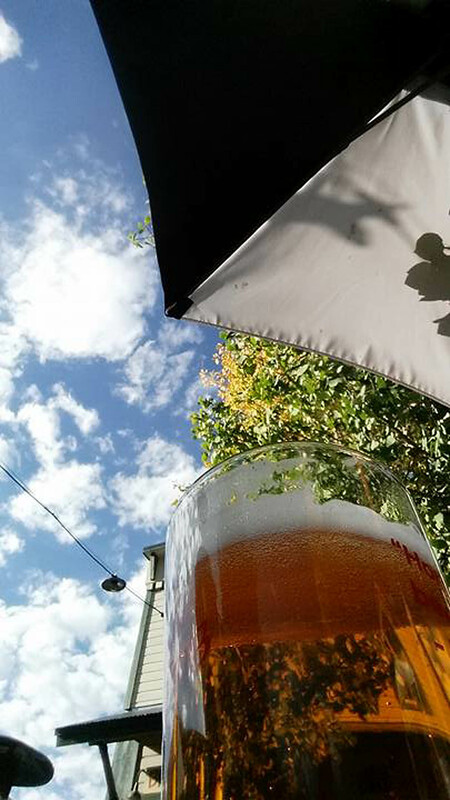 Get directions from your current location. 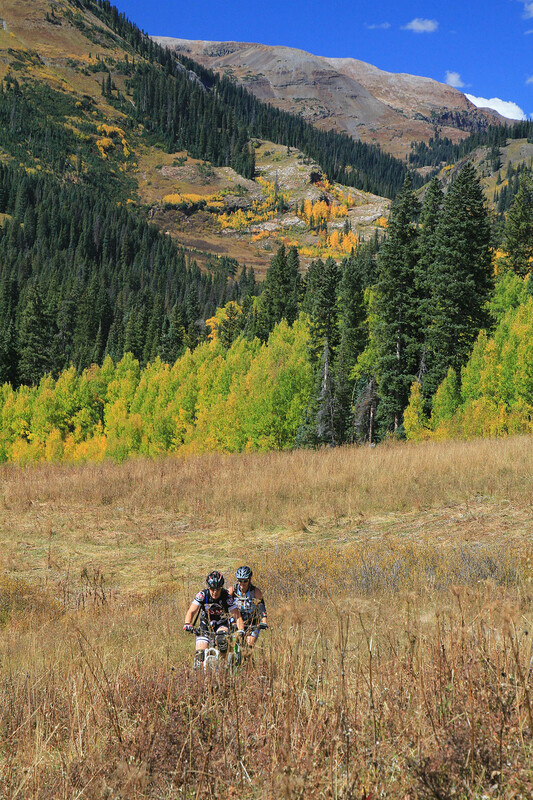 Maps and Resouces: Download GPX and KML Files. 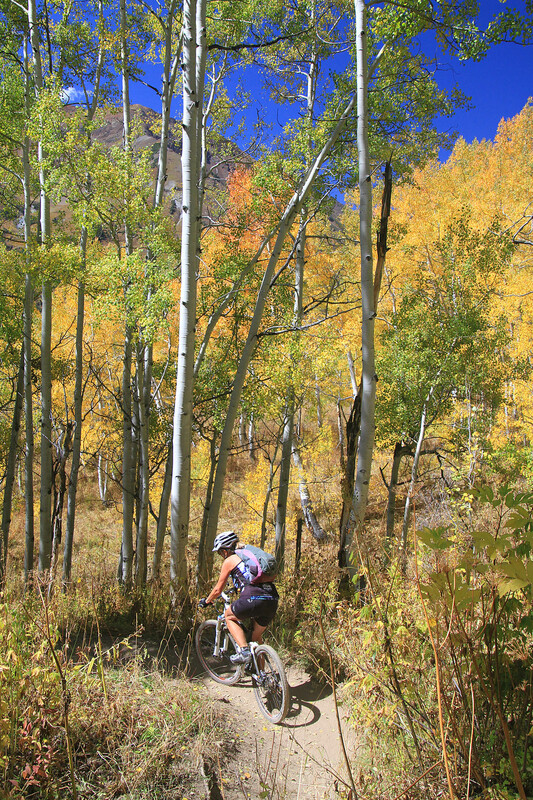 GPS Files Note: I did this ride as a loop from my campsite off of Gothic Road that was north of the trailhead. 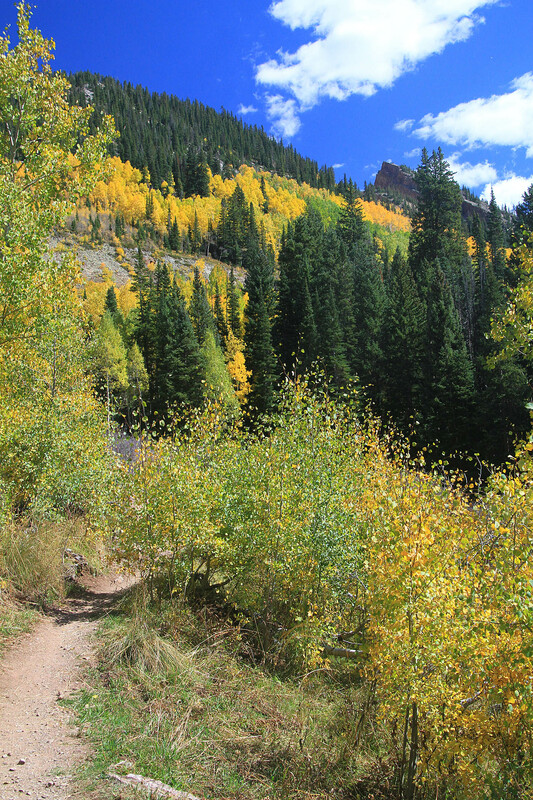 The trailhead is marked by a waypoint in the file but track starts further up Gothic Road. 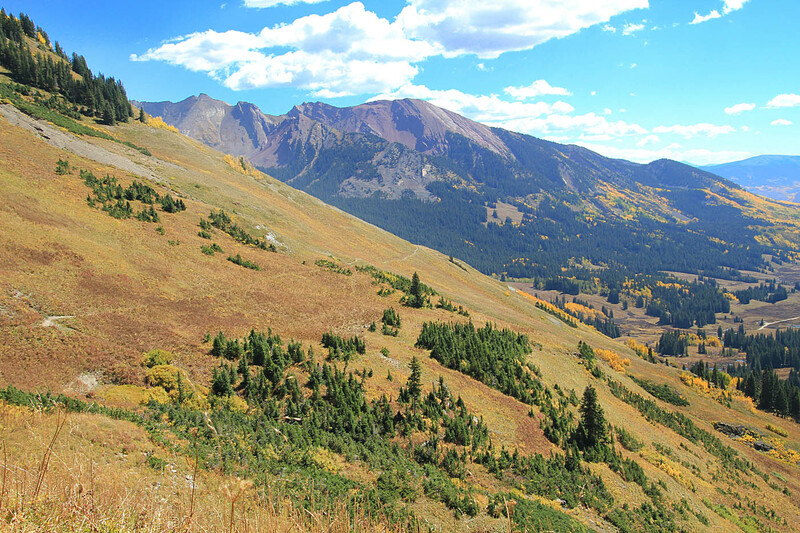 The lower trailhead is about 9,650 feet of elevation. 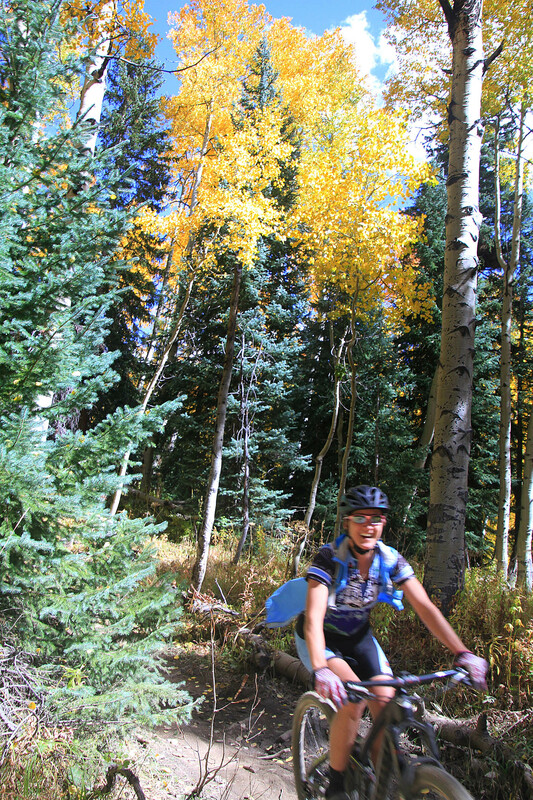 From the trailhead you will pedal up Gothic Road. The climbing is extremly mild in the beginning. 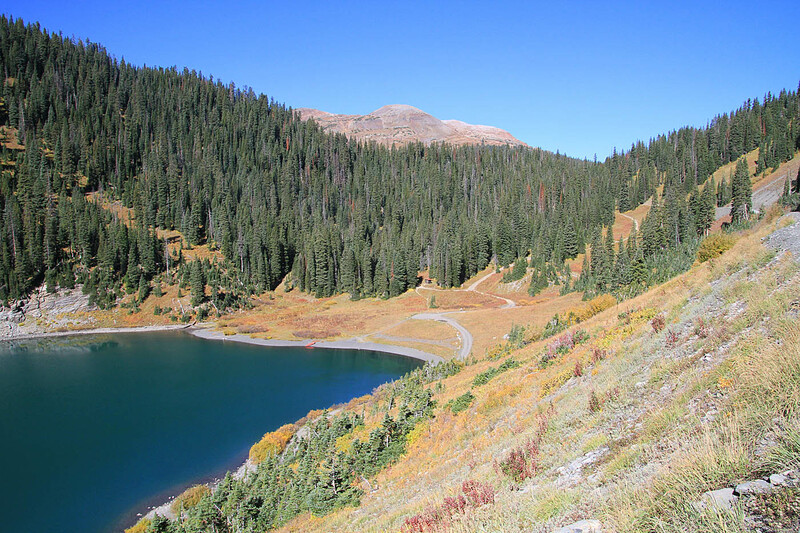 After about a 1.5 miles you will pass the Gothic Campground on your left followed by the 403 trailhead At around the 2.5 mile mark Gothic Road get a bit steeper as you approach Emerald Lake. 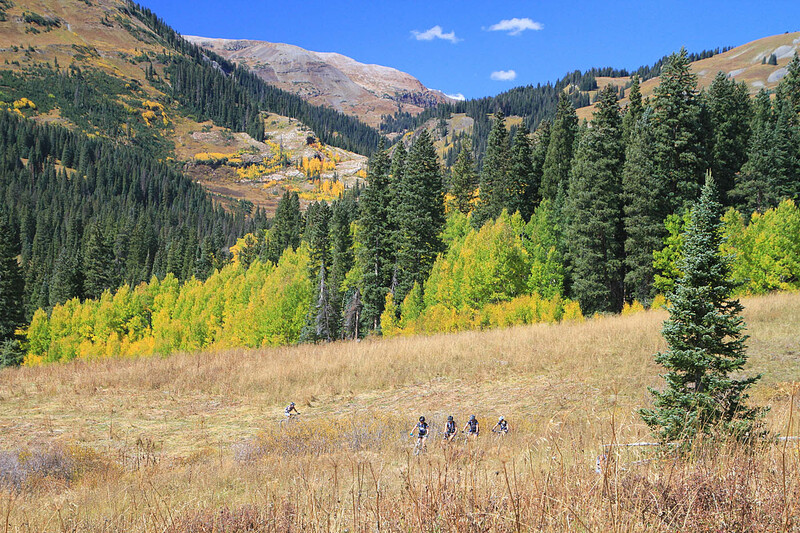 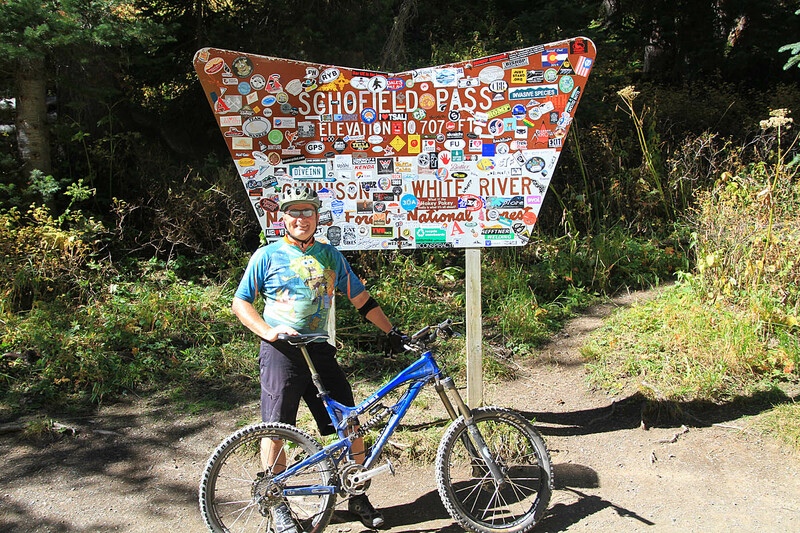 At 4.6 miles you will reach Schofield Pass at an elevation of 10,707 feet. 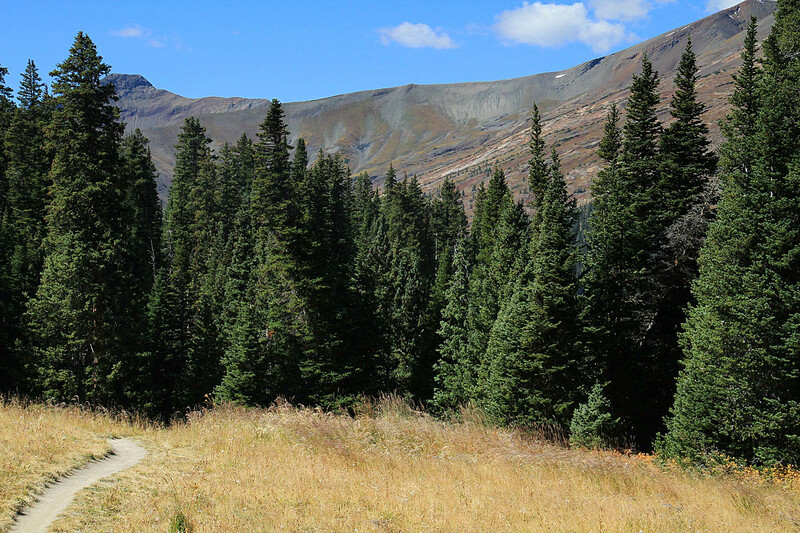 The 401 trail heads off to the east from this pass. 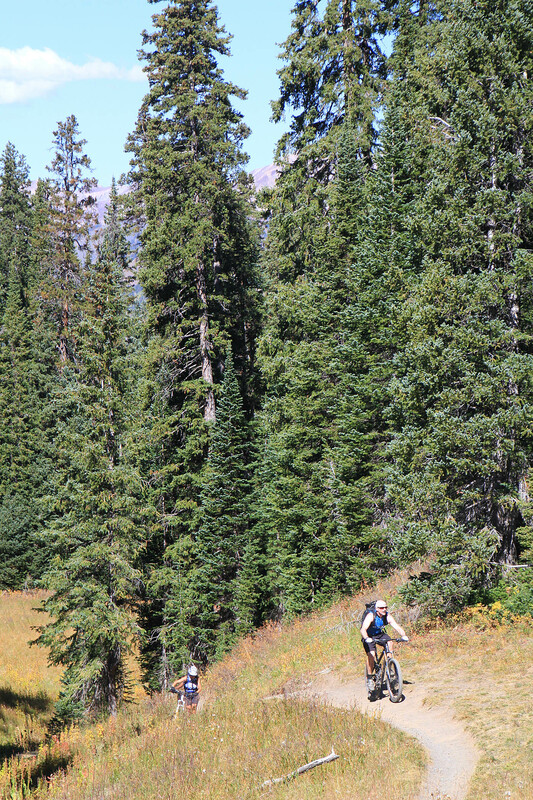 The opening streach of the 401 trail climbs steeply through the pine trees. 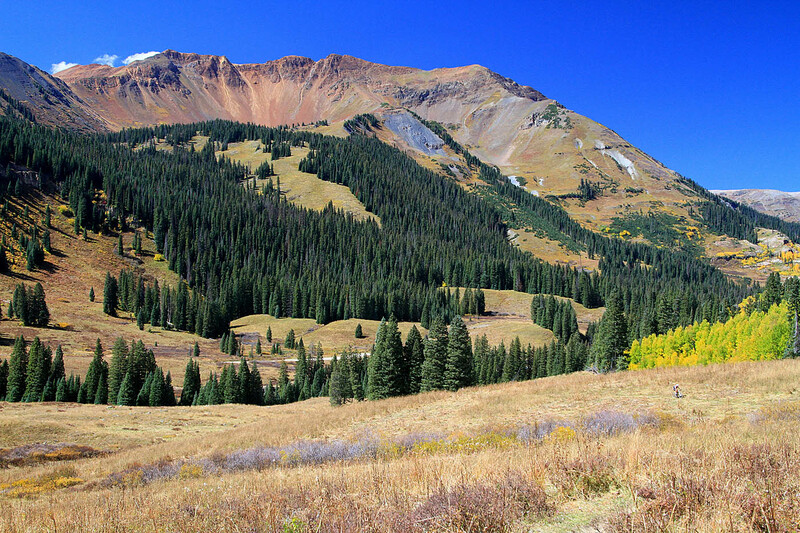 After about a mile of climbing the pines give way to an open meadow and hillside. 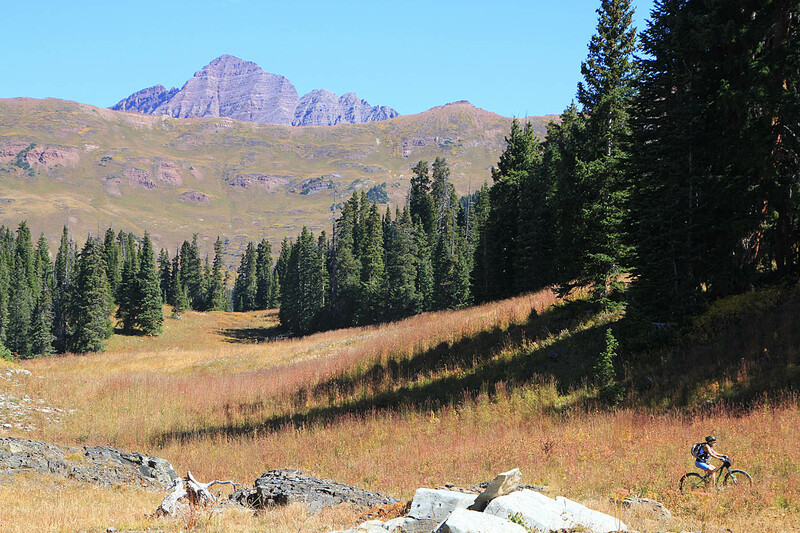 The view of the Maroon Bells Wilderness and the Elk Mountains are impressive. 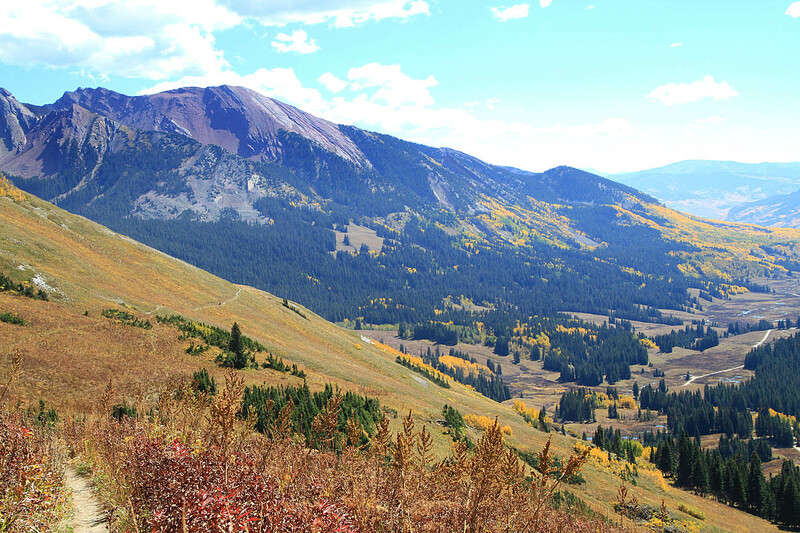 About 1.5 miles after leaving the road you top out at trail junction at an elevation of 11,360 feet. 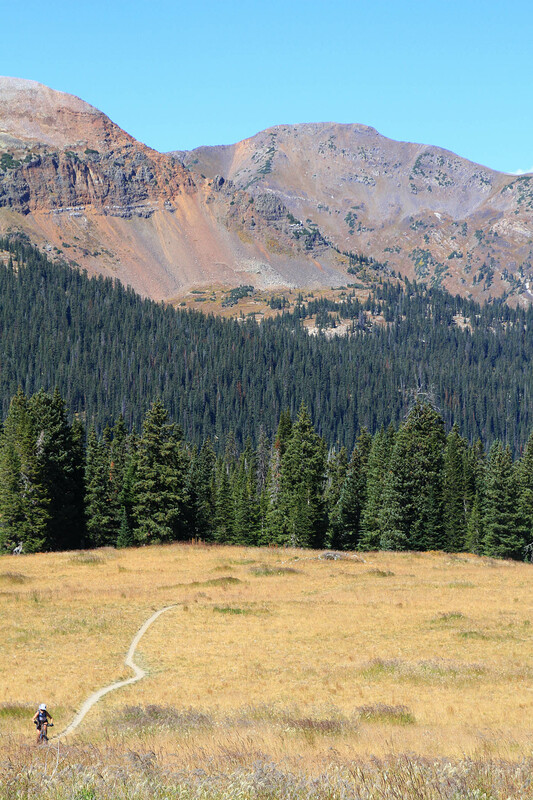 (I did not take note of the trail name, but it heads off wilderness area. 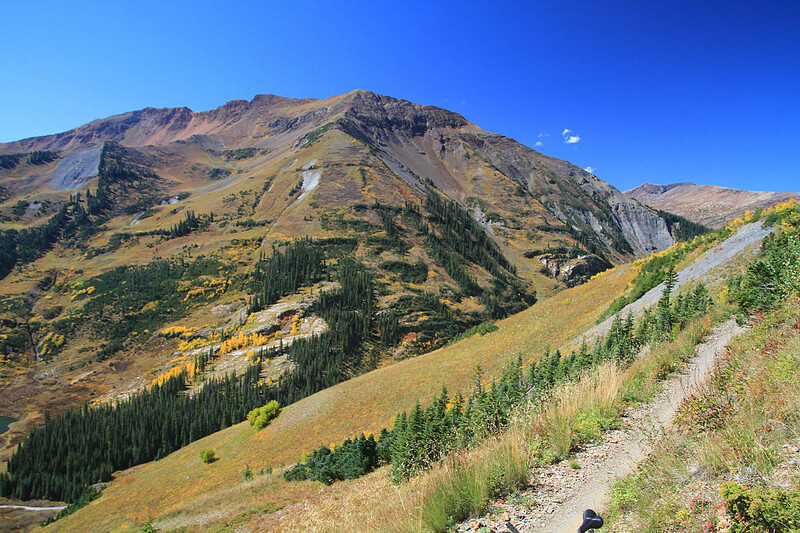 Beyond this point the trail becomes just AWESOME! 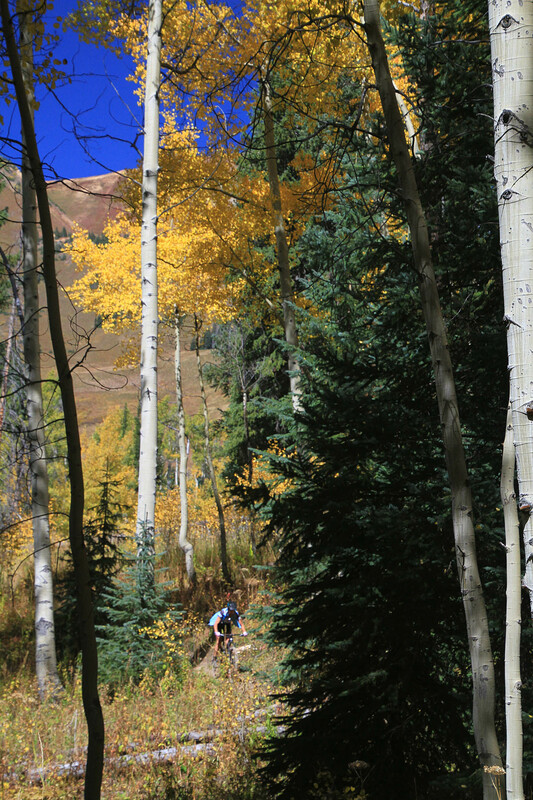 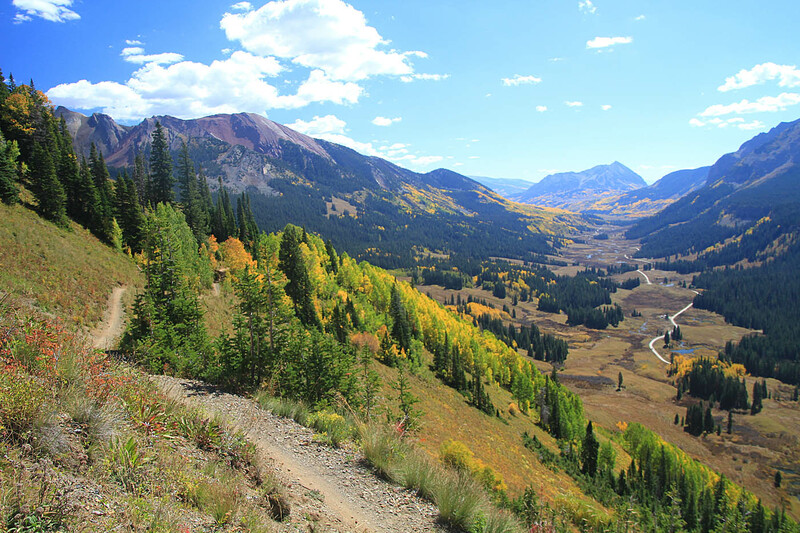 Some superbly great great singletrack with impressive views towards the south toward Crested Butte. 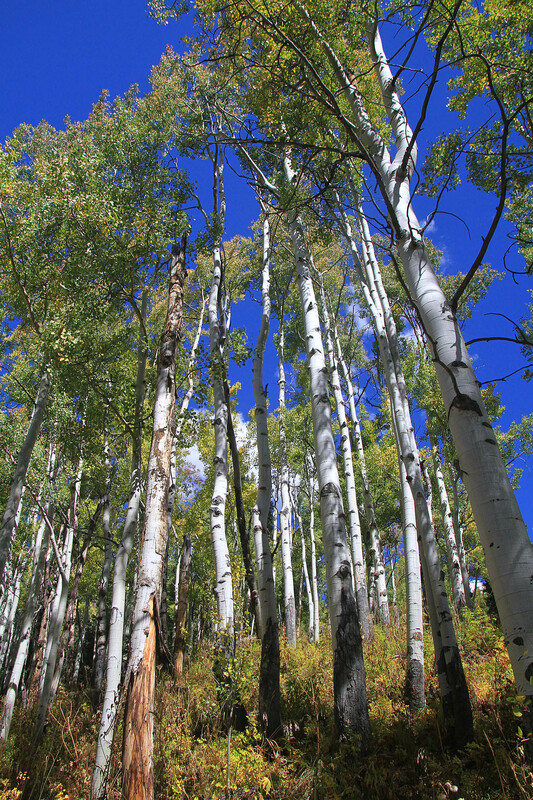 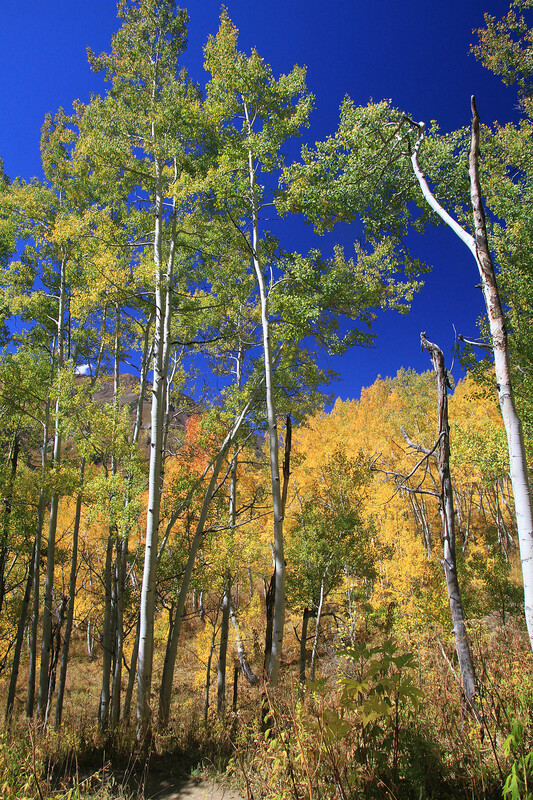 The groves of aspens that could be seen along the mountain sides were particularily beautiful. 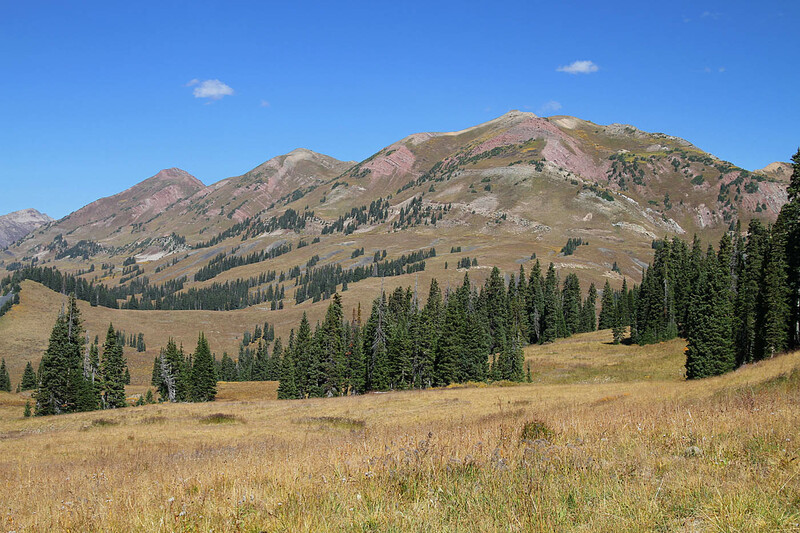 During the summertime all of the open areas are supposed to covered with wildflowers. 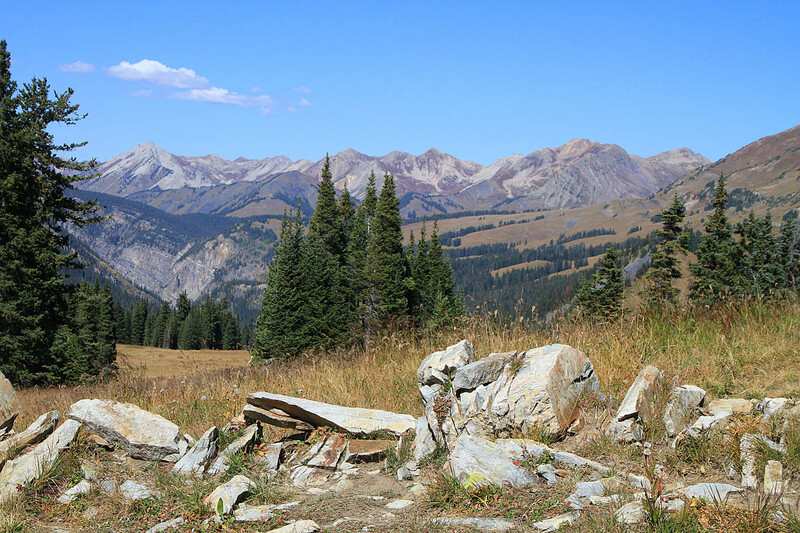 I'm already committed to getting back here to take in that summertime view. 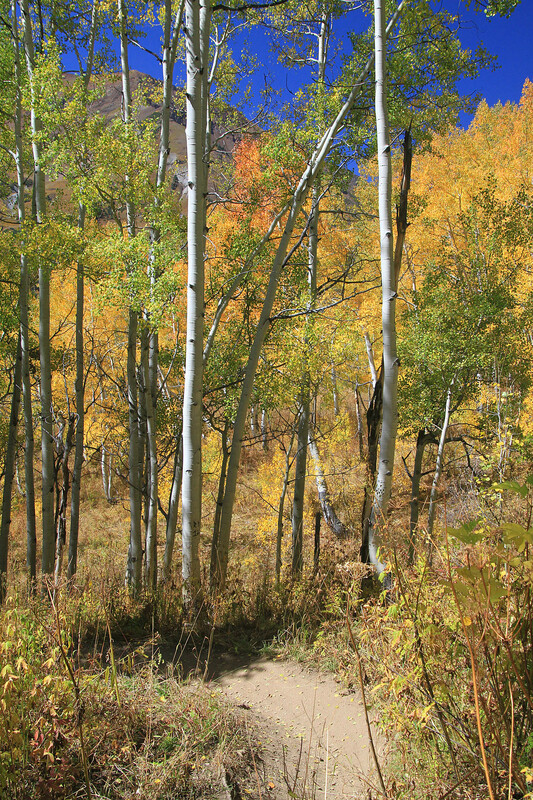 At around 8.6 miles the trail turns away from the wide open view and descends down through the trees for a while. 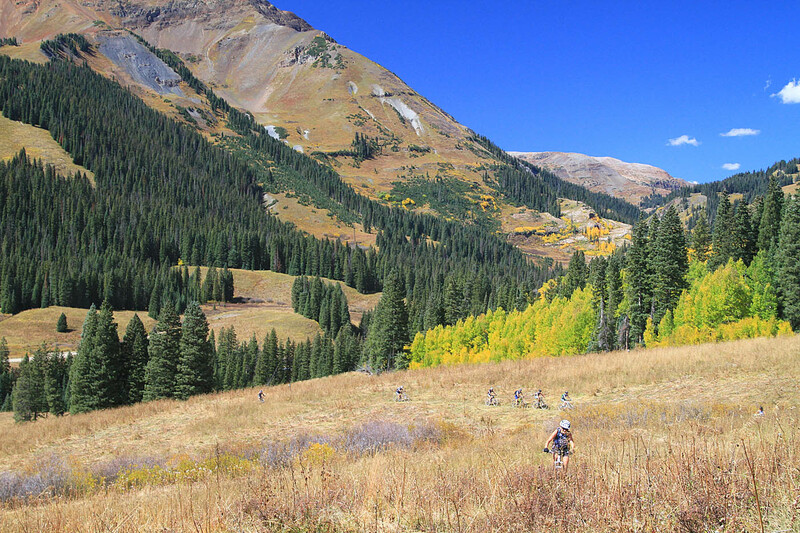 At around 10.1 mile you come out at the Rustler's Gulch trailhead where you will continue straight where you will shortly have to do a bit of climbing back up to around 10,200 feet at around 11.6 miles. 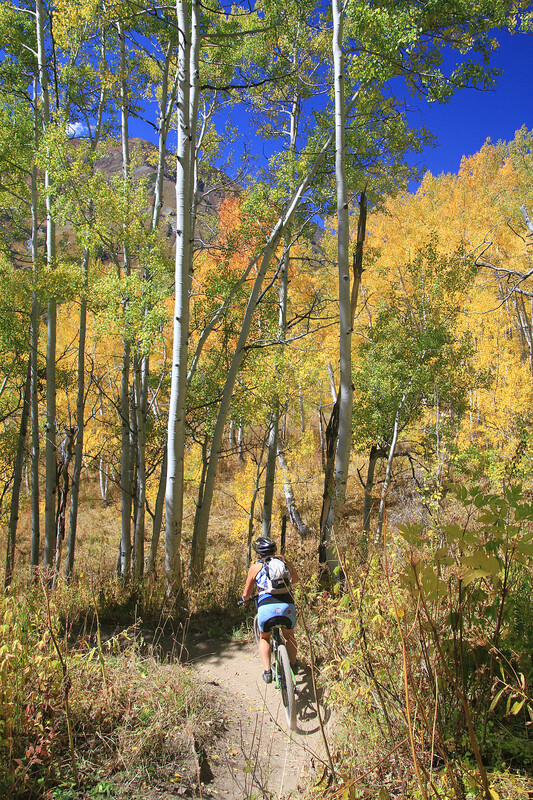 There is a short section of doubletrack in this section but the trail is pretty obvious. 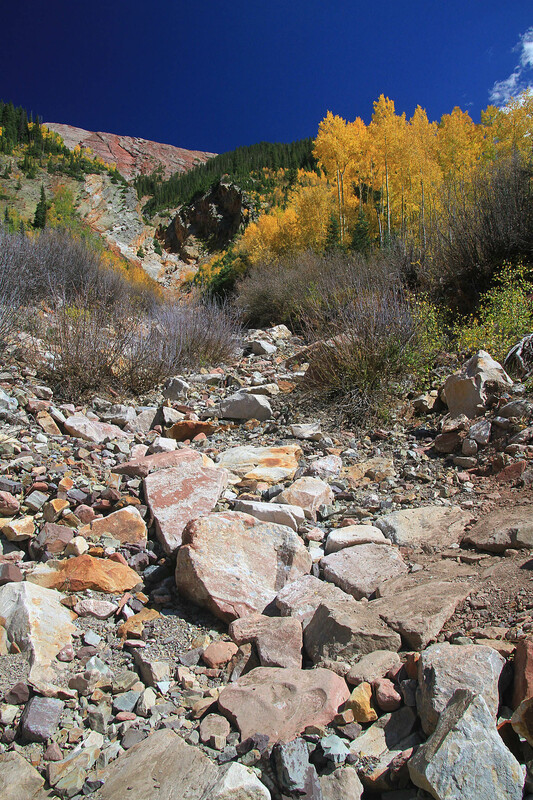 Beyond that you are back into the loosing elevation game. 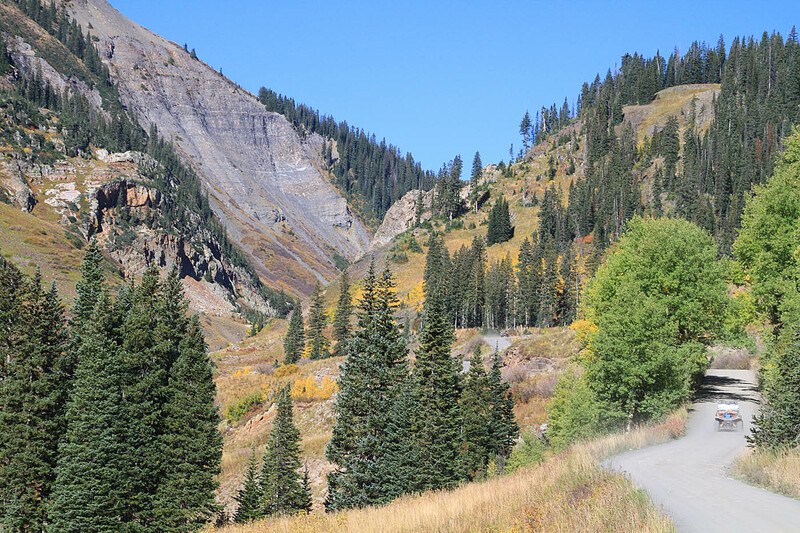 At 14.2 miles you come out on the 401 trailhead proper, take the doubletrack downhill to the west back down to Gothic Road. 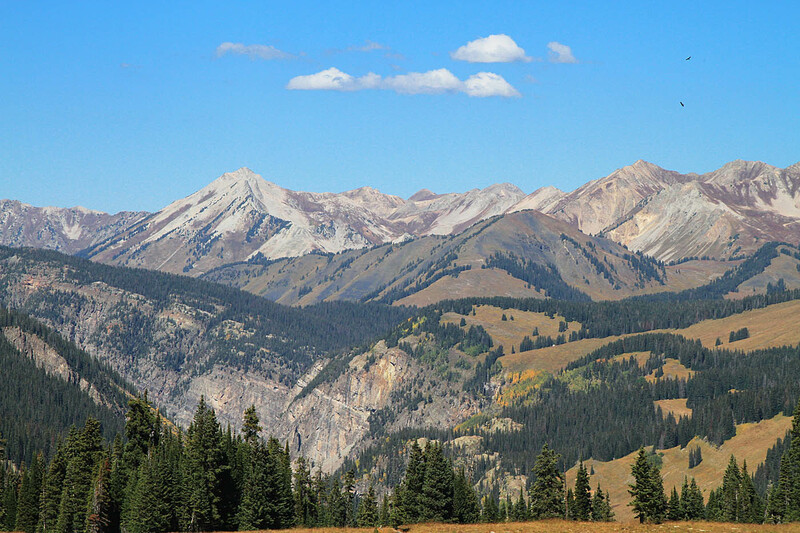 This was a great opener for Crested Butte and I was pretty stoked. 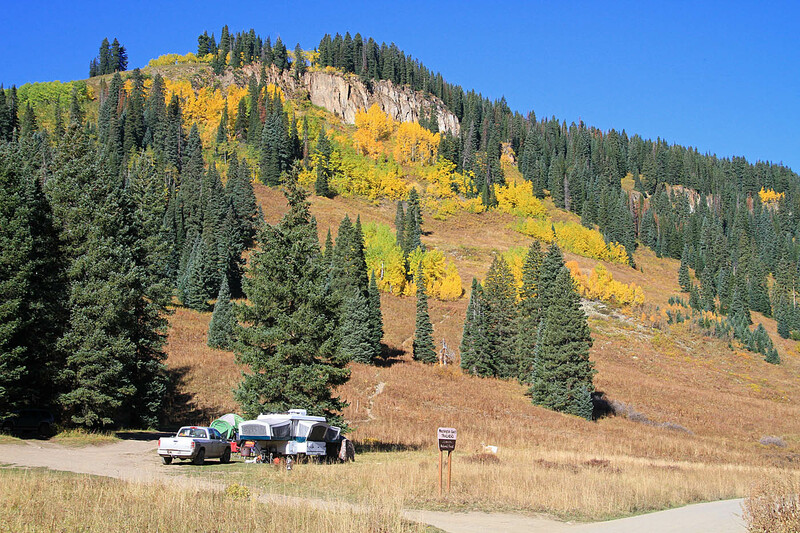 After riding back to camp, I hopped in the truck and drove into down for some tasty pizza and yummy beers. 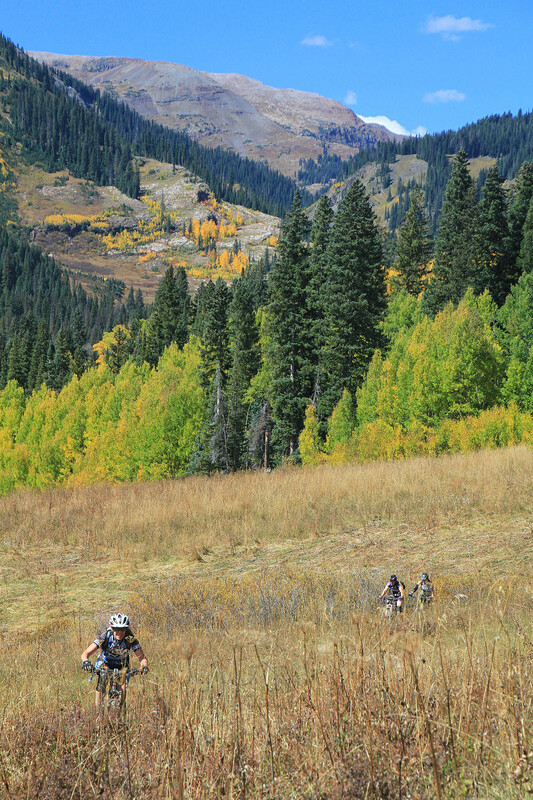 I swung by one of the local bike shops and made arrangments for tomorrows adventure.